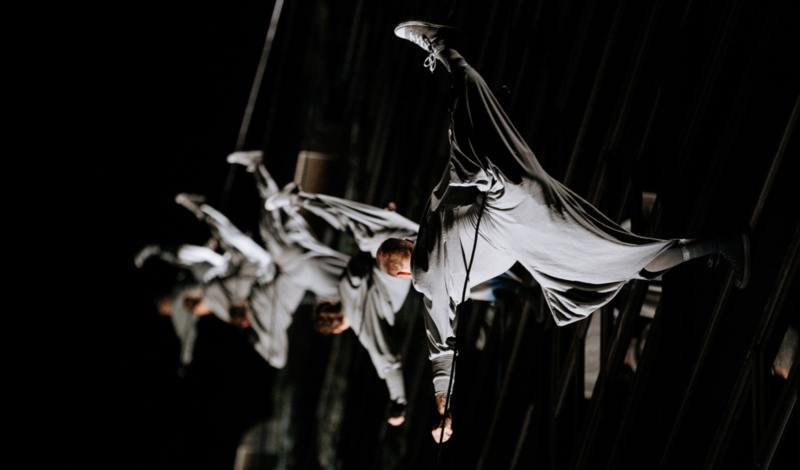 With another successful year under its belt, Freedom Festival Arts Trust (FFAT) is looking ahead to what is set to be an inspiring and epic 2019. While this year saw the 11th Freedom Festival attract an audience of over 132,000 visitors, and resulted in a £4.3m boost to the city’s economy, its success goes way beyond the numbers. 2018 was a year that Freedom Festival Arts Trust cemented its position not only as producers of an internationally recognised arts festival but as an organisation which is playing a critical and strategic role in enabling the legacy of Hull 2017, whilst also working nationally and internationally to support the creation of new, extraordinary work through its growing commissioning and artist development programme. However, its real and enduring success can’t be measured in a weekend or captured in figures. It is by far the human impact, the sense of pride, hope and optimism that permeates the air throughout the festival that offers up an insight into the potential, long term transformational impact of the festival and the Arts Trust’s year-round activity. Freedom Festival Arts Trust has now firmly established itself as a thought leader within the international arts scene. This was evidenced through the international professional symposium held alongside Freedom Festival 2018 which saw policy makers, producers, artists and practitioners from across the globe arrive in Hull to experience the festival and engage in a global discussion about art in public space. Plans are already underway for an even bigger symposium in 2019 which will provide the Arts Trust with an opportunity to really champion the city of Hull, not only as a city of culture but a city of creation. Work is already underway to support and showcase a number of exceptional newly commissioned works at Freedom Festival 2019, evidencing the festival’s status as a premier industry showcase event. Once again it will invite critically acclaimed artists to work with local people, placing them front and centre to the creative process with a series of thought provoking, participatory projects that respond to society. Food will once again be central to encouraging people to connect, share and discover, celebrating the cultural cuisine of our city. While projects will engage with both young and old in a series of brilliant and sometimes mischievous projects. Executive Director and Joint CEO of Freedom Festival Arts Trust, Jenny Howard-Coombes, said: “Hull is really starting to emerge as a city of creation. Our role is to continue to push this and to further enrich the audience experience by bringing high quality art to Hull, as well as nurturing the fantastic artists and creative sector that we have here in the city. Jenny continued: “Our ambition is as ever to respond to the insatiable appetites and goodwill of our audiences and supporters which is why year round we work tirelessly to develop the income that will ensure that we can deliver something extraordinary. Because in doing so we all gain in the short, medium and long term. Good enough isn’t good enough to have a durational impact upon people and place. So we are constantly driven by a pursuit of excellence in all we do and that reflects the aspirations of our two major funders Arts Council England and Hull City Council and wider sponsors and supporters. Joint Chief Executive and Artistic Director of Freedom Festival Arts Trust, Mikey Martins, continued: “Freedom Festival is now an established fixture on the national and international cultural calendar. This year was incredible and we’re already really excited about 2019. “In being international, we’re a gateway to exceptional international makers, providing an exciting opportunity for the city and for creatives in the city to network, collaborate and to be inspired. For 2019, we’re focussing on continuous artist development which will include a series of skills development masterclasses aimed at established, emerging artists or creatives. More announcements about the 2019 Freedom Festival, participation opportunities and its year-long programme of work will be announced in spring. Be the first to comment on "Freedom Festival Arts Trust looks back on an incredible year as it gets ready to leap into 2019"